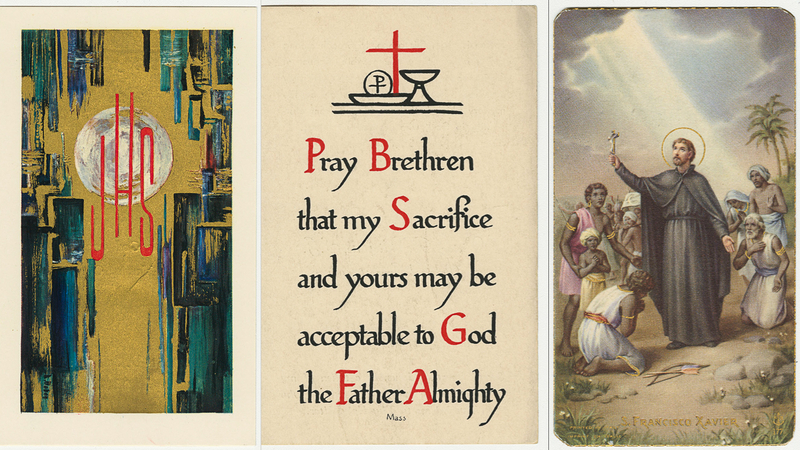 "Albert Arens memorial holy card"
Funeral prayer card for Albert Arens, 1920-1978. The front of the card has a photograph of Brother Arens and biographical information. 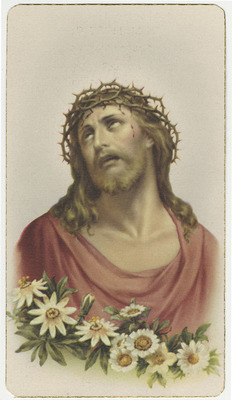 The back of the card features a devotional image of Christ. This card was printed in Italy by an unknown publisher. Arens was the assistant superior to the Jesuit community at Xavier University (Cincinnati, Ohio). (Front) Bro. Albert H. Arens, S.J. Born: October 20, 1920 Entered the Society of Jesus: March 11, 1960 Died: August 24, 1978 Prayer. God of mercy, we pray for our brother Albert. Give him happiness with your saints, and raise up his body in glory at the last day to be in your presence forever. We ask this through Christ our Lord. "Albert Arens memorial holy card" (1978). Jesuit Memorial Holy Cards. 1.